We have at least one coal train that’s about a mile and a half long pass through Spokane every day and I have never seen any dust emanating from those trains. And the rail beds are clean, too. I watched the video and will do my best to produce something similar – that is real. We see coal trains here all the time, and there is absolutely no visible dust. A little diesel smoke – yes. Plumes of coal dust – no. The trick for me will be to be in the right place at the right time to shoot a similar video. I will be out of town in Estes Park, Colorado, through Sunday. The next opportunity will be the following weekend. Then, I will actually have to choose and stake out a set of tracks and wait until an appropriate train comes along loaded with coal. I think the trains run with less frequency on the weekends, so it may be a bit of a wait up on the tracks in hundred degree heat. Maybe I should take along a cooler of beer and hope the rattlesnakes don’t want to share??? Another possibility would be to go to the top of Scotts Bluff National Monument where there is a panoramic view of all the railroad tracks in the surrounding countryside and usually at least one coal train to be seen moving somewhere in the distance. The problem there, of course, is the resolution. The air in western Nebraska is usually crystal clear but, of late, we’ve had quite a bit of smoke from forest fires in Colorado and Wyoming clouding the view. If the day is clear, I might at least be able to show that there is no plume of dust like that shown in the YouTube video. That video suggested dust so thick that the individual cars of the train were actually obscured – a blatantly ridiculous fabrication. If I can show clearly visible individual cars, albeit far away, would that be enough? By the way, it might be worth mentioning to your audience that I work for a regional medical center and have no interest whatsoever in the coal business. If anything, we at the hospital would be aware from the disease monitoring side if there were a significant environmental threat from the coals trains. The town also has no significant interest in the coal or railroad business. The coal comes from Wyoming and the railroads are not particularly significant local employers. We, like most of the towns along the Platte River in Nebraska, are primarily transit points for the coal. It’s been long predicted but we kept thinking the guy wouldn’t have the juevos to put our country and great, great grandchildren into more debt, but by golly the President has done it! He’s come up with a way to bail out student loan debt. He’s already given illegal alien kids free education and allowing their parents to stay in the country. He’s already bailing out homeowners through HARP and PRINCIPLE FORGIVENESS ON HOME LOANS. He’s given us CASH FOR CLUNKERS. CHEVY VOLTS. GOVERNMENT MOTORS. And now he’s figured out a way to write down student debt incurred by students who couldn’t get a job in the Obama Economy. 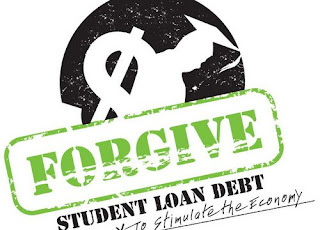 Ladies and Gentlemen, I give to you the student loan fail safe program. It’s a program that will explode costs of college for people who DON’T take out loans and work their way through. But hey, why do that when you can take out massive student loans and just—declare bankruptcy? Who will tell the children how unethical this is? Will it be the churches and pastors under seige by the HHS? Will it be the parents who are on the dole by the new welfare rules that don’t require them to work to get it? Will it be the 99 weekers who are in the last days of their nearly two year long jobless benefits? Will it be the business owners whom the President has shown he will crush by his Obamacare manipulations? Will it be the companies that are saddled with EPA regulations and watched by drones? Will it be the companies like Solyndra and Vestas that can’t survive without government subsidies? WHO WILL TELL THE TRUTH ABOUT THIS?? The Obama administration urged Congress to make it easier for people to discharge a portion of certain student debt by filing for bankruptcy protection.Consumer bureau chief Richard Cordray said Congress should consider modifying a 2005 law that, except in rare circumstances, prohibits discharging private student loans through bankruptcy. “It would be prudent to consider whether they wish to modify the code in light of the impact on young borrowers in challenging labor-market conditions,” Mr. Cordray said. He added that the law doesn’t appear to have met its objectives of bringing down borrowing costs and expanding access to private loans. Expanding the concept to federal loans would be politically controversial given that it would likely result in taxpayer losses, and Republicans have expressed reservations. Sean Hannity got an exclusive interview with George Zimmerman, the shooter of Trayvon Martin in Sanford, Florida. Hannity has six segments of his Zimmerman interview. Find them here. There are five of them. But if you don’t have enough time to view them all then be sure to see this one. Obama Fund Raiser Not a Sell Out! Still Looking for Folks to Pay Indulgences to Eat With Supreme Leader! $500 Tickets are Almost Sold Out! There’s been remarkable interest [so remarkable that it hasn’t sold out!] 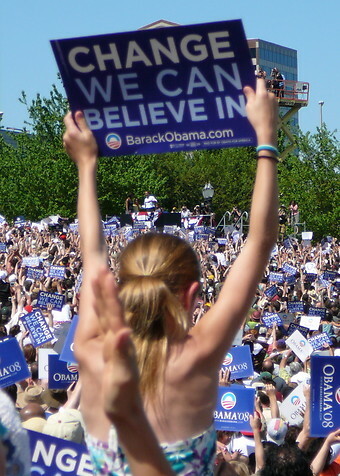 in President Obama’s visit to Portland next Tuesday, July 24. I hope you can join us on that day, so let me fill you in on some details. Voting for the President is important, but in an election year where a sitting President will be outspent for the first time ever by his opponent [except for the MMFA/SOROS & other superpacs], it is crucial that Barack Obama’s supporters help him out financially as well. We have asked him to come to Oregon so that we can do our part to support his reelection by throwing a party for him and using that opportunity to raise money for his campaign. The event will be a luncheon held at the beautiful Portland Art Museum in the early afternoon [Sheesh, isn’t the hopey changey Decemberist waterfront park available or will the optics not be to your liking? Most of your supporters either don’t work or are super rich so they all should be able to make it!]. There are lots of details still to be worked out, but we hope to make this a very special occasion. There is also a very intimate opportunity with the President that day at a higher price point.